In my current work I would like to choose a categorical distribution with its parameters as the variational distribution. Addtionally, I would like to use stochastic variational inference in pyro. This would result in updating the variational parameters. Now since we know that for a categorical distrbution, the parameters are probabilities. Updating the parameters naively might result in the values spilling out of the range [0,1]. Does the SVI internally take this factor into account thereby being mindful of the spill over during the parameter updates? cool!! Thanks. Will try em out!! I would like to construct a categorical distribution with three parameters a,b and c. However, these parameters are matrices. Technically I want to construct dist.Categorical(a,b,c) however, I am unable to do it Pyro. Can anyone suggest what can be done? What do you mean by a, b, c - are these matrices stacked one on top of each other or concatenated vertically? If so, dist.Categorical can take in a tensor provided you do the stacking or concatenation and pass in a single concatenated tensor when instantiating the Categorical. That’s right - you can do torch.stack([a, b, c]) which should give you a tensor of size (510*3, 10, 3). I am guessing that your trailing dim has size 3 to account for each of the weight values. You probably want to do 1 - dist.Categorical(..).sample(). By itself, dist.Categorical(..) only gives you a distribution instance. In pyro you can do something like values = 1 - pyro.sample("cat", dist.Categorical(weights)) which will do the sampling behind the scenes. 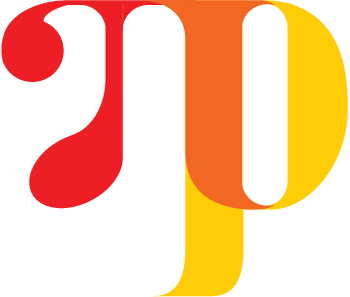 If you have any distribution specific questions, I would suggest bringing them over to the PyTorch distributions channel. You’ll likely get a faster response there. I see, I don’t see a way of doing this using pyro.random_module, unless you change your prior functions to do this mapping for you (i.e. inherit from Categorical, subtract 1 in .sample and add it back again in .log_prob). I wouldn’t recommend it, but maybe @jpchen can comment if there is an easier way. I think you’ll be better off not using random_module and doing regression directly. See http://pyro.ai/examples/bayesian_regression_ii.html for an example. Thank you for the reply. Do you feel if this would be feasible in Edward library? create a custom distribution - we do this a lot for our own work as well - if it is only used in the model, you don’t even need to implement a sample method. Thank you @jpchen. Will explore both the possibilities. U had mentioned the possibility (1) for generating a categorical distribution that samples -1,0,1 as oppossed to the standard (0,1,2) for a three event scenario. Just to make myself clear, I would need to use composition over inheritance to to generate random_module for my network?Also, Is there a way to reshape a categorical distribution to say [32,1,5,5] before sampling ?